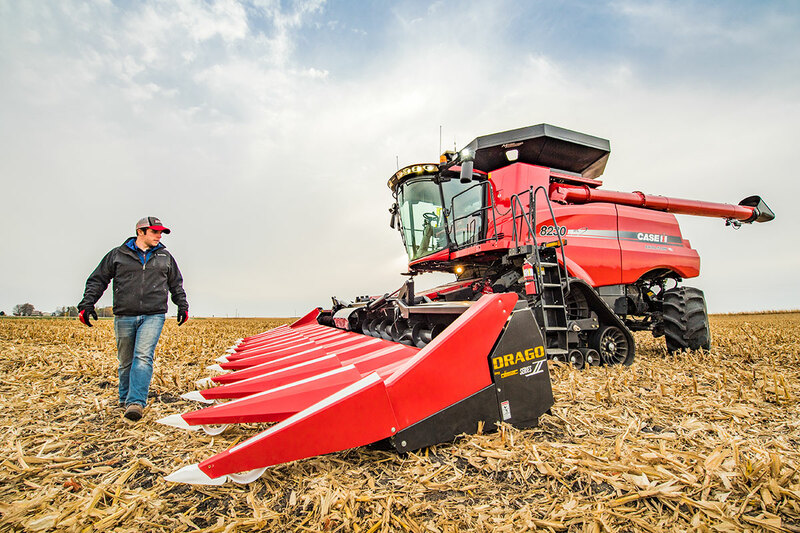 Editor’s Note: From the low profile of its row units to the fin design of its auger, every component of the Drago corn head is engineered for added yield and durability. This is the second in a series of Row by Row articles detailing how Drago’s “yield-first philosophy” influences the design of its components. Regardless of brand, knife rollers perform essentially the same job, and that is to pull down stalks and separate the ear from its stalk. 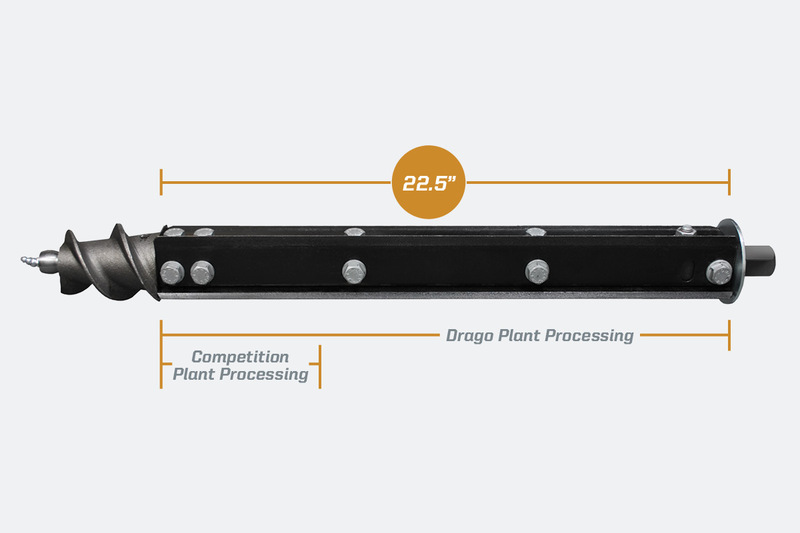 How well each brand accomplishes that job is what separates Drago’s knife rollers from its competition. He explains that the knife rollers of some other brands never let go of the stalk once contact is made – their blades alternate or intermesh with each other in a crimping fashion, this creates a restriction and prevents stalks from moving up along the roller. Bollig adds that one of the consequences of a limited processing window is that the knife rollers must run faster, resulting in more ear bounce. And while Drago knife rollers work to deliver more corn, they are also engineered to work longer. Unlike other major brands, Drago supports the front of its knife rollers with brackets to keep them from spreading and breaking. Bollig notes that even with bracket supports, the potential for foreign objects entering row units and causing damage remains. “Should that occur, Drago gearboxes feature orbital bearings designed to allow rolls to spread and prevent such damage,” he says. “The operator can simply reset the rollers and continue harvest. Finally, along with the knife roller bracket, Drago features two bearings and a grease bank built into the nose cone itself. A dirt barrier is milled into protect seals and bearings when tops are closer to the soil, as in down-corn situations. He adds that whether a component is designed to capture more corn or to add strength and durability, Drago design and engineering demonstrate the level of detail and harvest intelligence that is unmatched in the corn head industry.